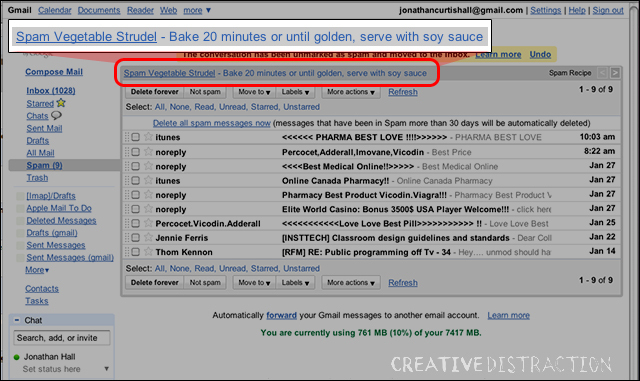 After all, shouldn’t a smart Google algorithm differentiate uses of spam as canned ham from spam as unsolicited email? Wouldn’t it be better for Gmail to serve ads related to the content of the spam itself, vulgar as it might me, in the hope that at least a few clicks on the word “vicodin” get tracked and paid for? Maybe. But it’s hard to deny the comedic value of “Spam Vegetable Strudel.” That’s worth a click right there.